available for a wide agegroup including families. 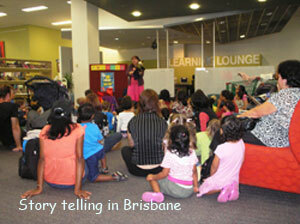 Chris has a special skill with involving older children in story telling and story making. Shows with an appeal for older children often with a drama or art componant are available for schools, libraries, etc. Chris specialises in a wide range of folk tale story telling. 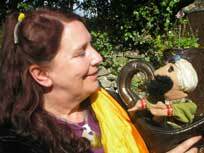 Stories from around the world, or a story telling show devoted to the old Irish tales. This flexibly staged show, is full of fun laughter and old stories full of magic. Will the Shepherd with the Bright blue eyes be cut in half before your very faces. Will the audience ever let the wizard get out of the cradle? It's magic and mayhem! Story shows can be tailored to suit the group and the time of year. Stories and Magic for Christmas? ... for Halloween? ... on an environmental theme? Anything is possible with these flexible shows.